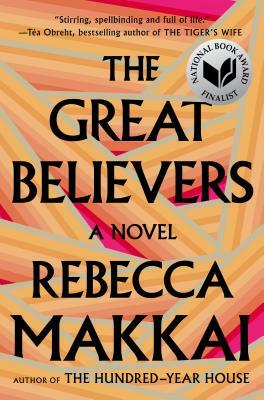 The Great Believers is the kind of book you make time for, the kind you cancel plans and turn your phone off for. It's utterly believable, heartbreaking, and beautiful. In Makkai's hands, this generation devastated by AIDS are not victims, but fighters, resisters, and believers. I am thankful for this book. This is the first fictional work set in the AIDS ravaged 1980's that I have read and it bowled me over. Makkai takes you there-which would be horrible, except she delivers a cast of characters who are absolutely compelling and real. You care about what happens to them. It is hard to put the book down and their stories stay with you long after you are done reading. Makkai alternates her story between that tragic era in Chicago and Paris thirty years later. The three generations of women, the choices they make, and how those choices continue to impact their lives particularly resonated with me, along with Makkai's beautiful but tightly edited writing style. This is a book I find myself eagerly recommending to a broad and diverse readership. I want to call The Great Believers historical fiction, because Makkai's chronicle of Chicago in the 1980s is so pivotal to the story. I adored this story of friendships gained and lost, lovers found and rejected. This would be a great vacation read! This book is exquisite. The characters seem so real I still think of them almost every day even though I finished this 6 weeks ago. A novel of inevitability and convergences and how our kindness, joy, and tenacity reverberates throughout time and across the globe--even as history has seemingly made its best attempt to leave these forgotten voices behind. Makkai has done a great service in her extensive research and in the care and tenderness with which she portrays her characters.